Just months after Dolce & Gabbana published a racially-insensitive ad and designer Stefano Gabbana made racist comments against the Chinese people, the fashion label is once again infuriating Chinese netizens. This time, the Italian luxury fashion brand has drawn the public ire for selling a new line of clothes with designs inspired by the Lunar New Year. 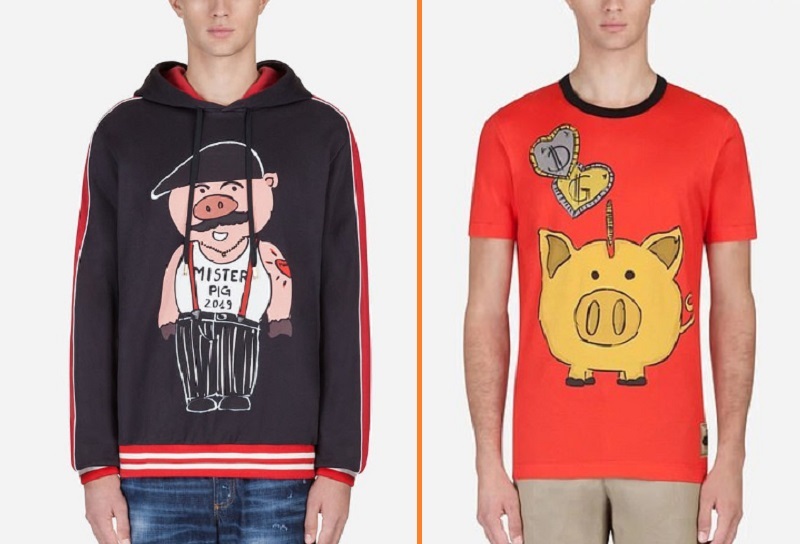 T-shirts, hoodies, and jackets for men designed with ‘Chinese New Year’ prints are currently sold on Dolce & Gabbana’s website. 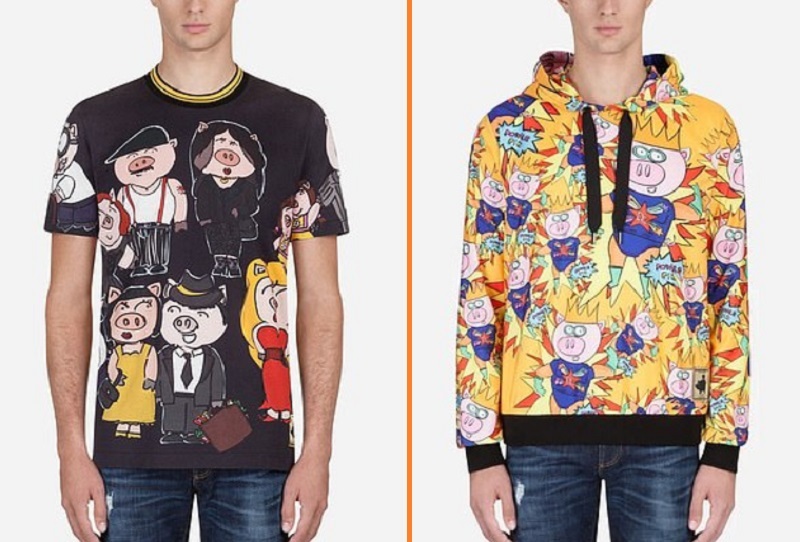 The designs, themed around the “Year of the Pig,” mostly feature cartoon pig characters. Ten menswear items are available, ranging in cost from $365 to $1,145. Many are not particularly pleased with the brand’s attempt to make money using Chinese culture just months after apologizing for their previous offenses. It was only last November when D&G posted its infamous ad on Instagram, featuring a Chinese model using a pair of chopsticks as she struggles to eat a pizza, cannoli, and spaghetti. The promotional video series, entitled “Eating With Chopsticks,” drew so much backlash that the fashion house was forced to cancel the Shanghai show which they were trying to promote. 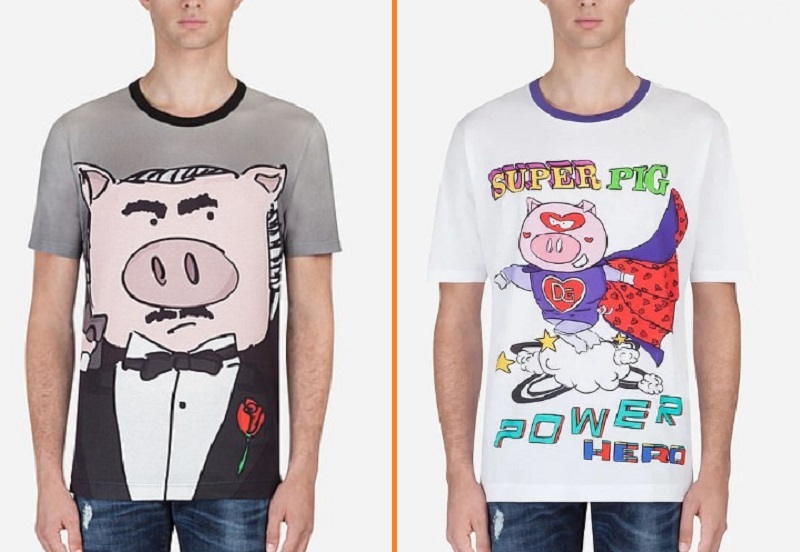 Some netizens believe the brand is trying to win Chinese customers back with its new line of clothes. “It is not the first time they are kissing the Chinese a** so deliberately. The rooster year they made rooster T and sweatshirt, last year they made dog T-shirts, this year again… so certainly next year mouse T-shirts,” one commented. ‘At least the shirt is transparent about how they see their Chinese customers, fat pigs who are only worth their money. I’m surprised that last year for the year of the dog they didn’t have a shirt with someone eating Fido on it,” another chimed in. Other commenters simply expressed disgust over the new clothes. “Is it a comedy? A parody? A tragedy?” a perplexed user asked.